I am in the process of making the cook's illustrated recipe for pork pernil. For the first hour, you heat marinated pork at 450, covered tightly in a roasting pan with aluminum foil. Lo, pulling it out of the oven I see several tiny spots where the aluminum foil has been eaten away. The edges are black-ish, which suggests galvanic corrosion, what's commonly called a "lasagna battery" or "lasagna cell" - the results of 2 metals sandwiching a piece of food that is acidic. I was using a stainless steel roasting pan, and basic aluminum foil. The spots are tiny, and they're shotgunned all over the top of the pork. They're very small, and they're in several clusters, but overall MOST of the pork wasn't impacted. It would be difficult to scrape it off because it is so small. This is a huge cut of meat, and I'd hate to throw it out, but I don't know if the galvanic reaction can do any other damage. Instead of using plastic wrap to tent the foil, use parchment paper. Cover the pan's interior with the parchment, then cover the top with parchment, now put the foil on top and crimp the edges closed. The parchment in the pan works great when making things like lasagna, it keeps it from sticking and clean up is a breeze. No crust on the bottom or sides. Also, I remember going through the grocery isle were the foil and cooking stuff was and saw a foil with parchment already attached to it. And for the last idea you can always make your recipes in a glass Pyrex or ceramic dishes that come with lids. I also bought a very large cooking pot that would do a clam, mussel bake in the oven with a glass lid, it holds six gallons water, I have to take out an oven rack for it to fit my oven and have used it to cook large roast. It is a ceramic coated pot. PS: You could also buy the disposable aluminum pans and not worry about the galvanic reaction with the foil. Craig Middleton Sr.Craig Middleton Sr. Yes... very safe to eat. All meats and many of the wonderful condiments we cook with contain acids that help not only with the flavoring but also helps in breaking down the meats to tenderize them. 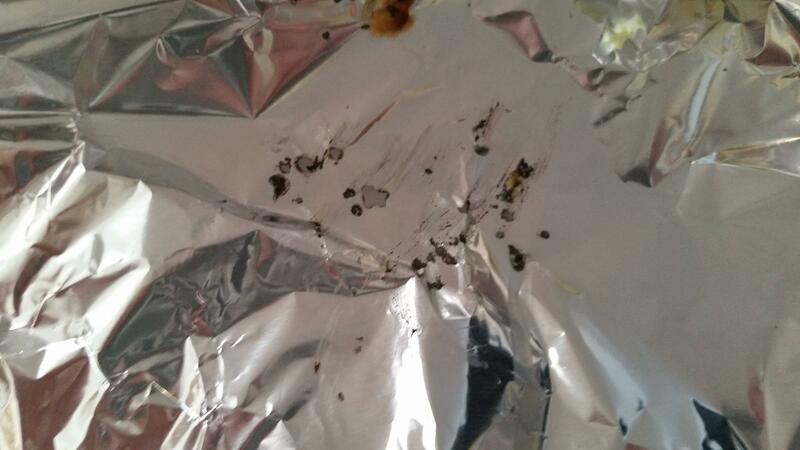 Occasionally, you will get a "burn through"or small acid bubbles forming on the aluminum foil due to its thinness. The heat from the oven also acts as a catalyst. For the most part, you are safe. It wont make you sick nor will it taint the rest of the meats. Most folks just don't like the idea of eating it! But it won't hurt you. Don't think that the FDA wouldn't jump at the idea of going after the manufacturers if it was harmful. Recommendation..... Use a heavy plastic film or heavy duty saran wrap first to cover the pan, then go over that with the aluminum foil. The plastic wrap can withstand temps over 350 f. without meltingand it will prevent the foil from dissolving! Not the answer you're looking for? Browse other questions tagged food-science pork or ask your own question. Pork Tenderloin Safe to eat?